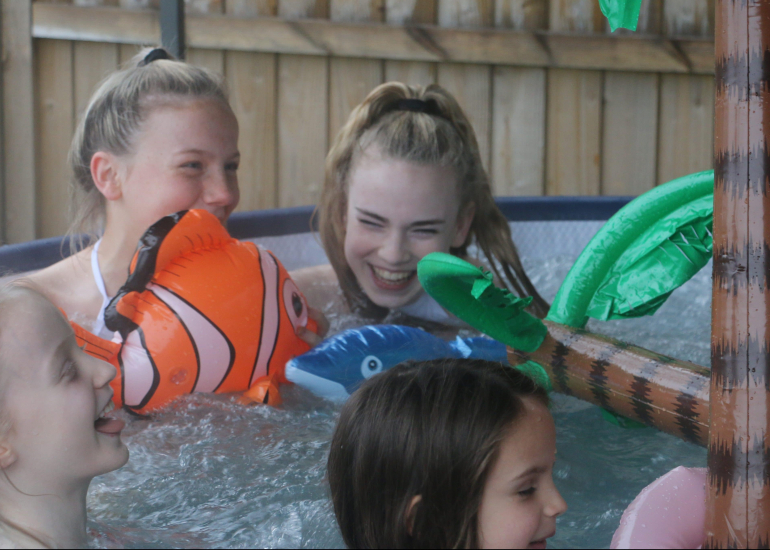 The hottest birthday party of 2018 is here – Hot Tub Parties. Has your son or daughter ever been to a hot tub party?! You get it ALL WEEKEND – kids parties only last 2 hours right?? 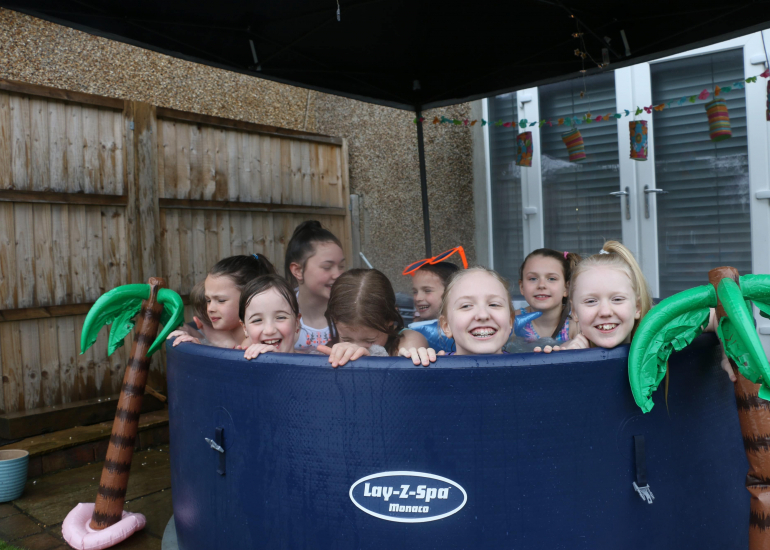 Our amazing hot tubs are delivered right into your back garden and mean no matter the weather, its always a party in the garden! We drop them off Thursday and they will be warm by Friday and ready for the weekend! 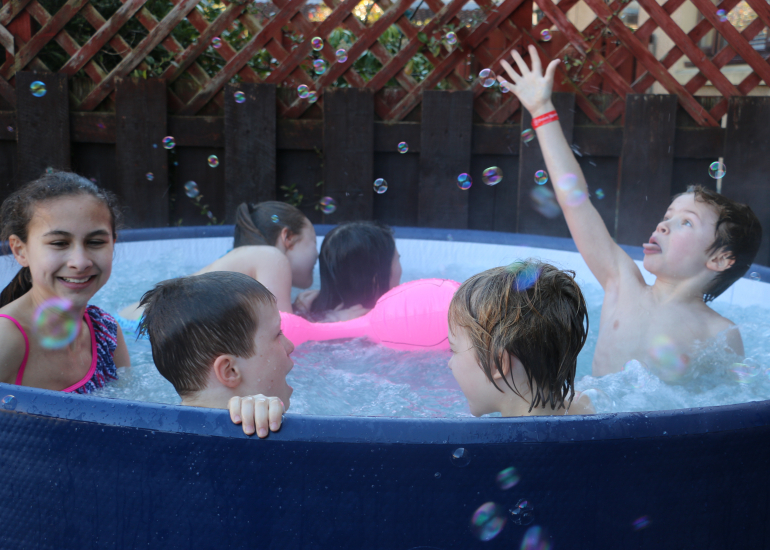 Our hot tubs fit 6 to 8 adults, so perfect for your child’s party and a few friends. The kind of space we require is a flat, stable surface of 3m by 3m. We need power as well as access to a hose! Please also bear in mind that the pool will need emptied too! We can pump the water to a location that suits. For more details about our Hot Tub Parties, please do not hesitate to contact us! 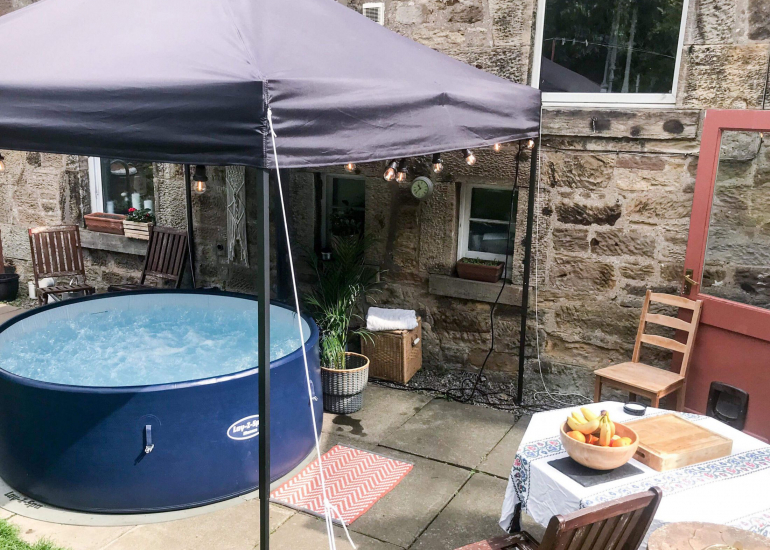 Our Hot Tub Parties start from £180 for a Thursday – Sunday Hire. We have different packages from Kid’s Parties to 40th Birthday Packages so drop us an email and let us know your requirements. Wanting a Tipi Cinema too? Combo up and let us know – we will sort you out!